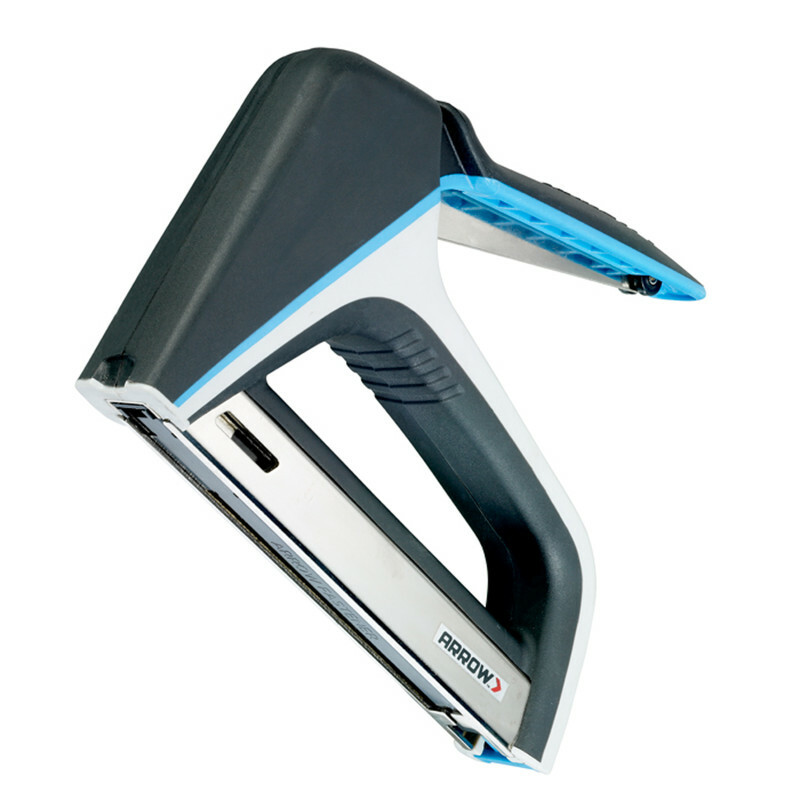 Ergonomic and compact design enables one-handed use. Simple loading mechanism and release. Lightweight and durable. Takes 8 to 12mm T50 staples. 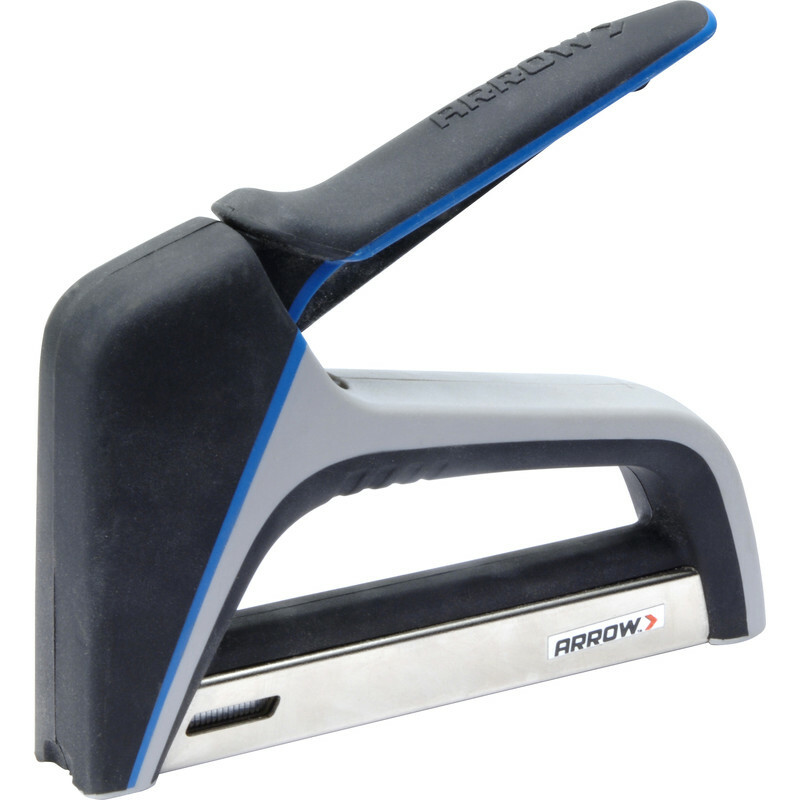 Arrow Staple Gun AT50X is rated 3.8 out of 5 by 5. Rated 1 out of 5 by Meadow 1 from Not like the Arrow of old!! Bought to staple weed fabric to the inside of a raised flower bed. Sadly each staple had to be hammered home and this was into soft wood. It sometimes fired 2 staples together which obviously didn't hold any fabric. 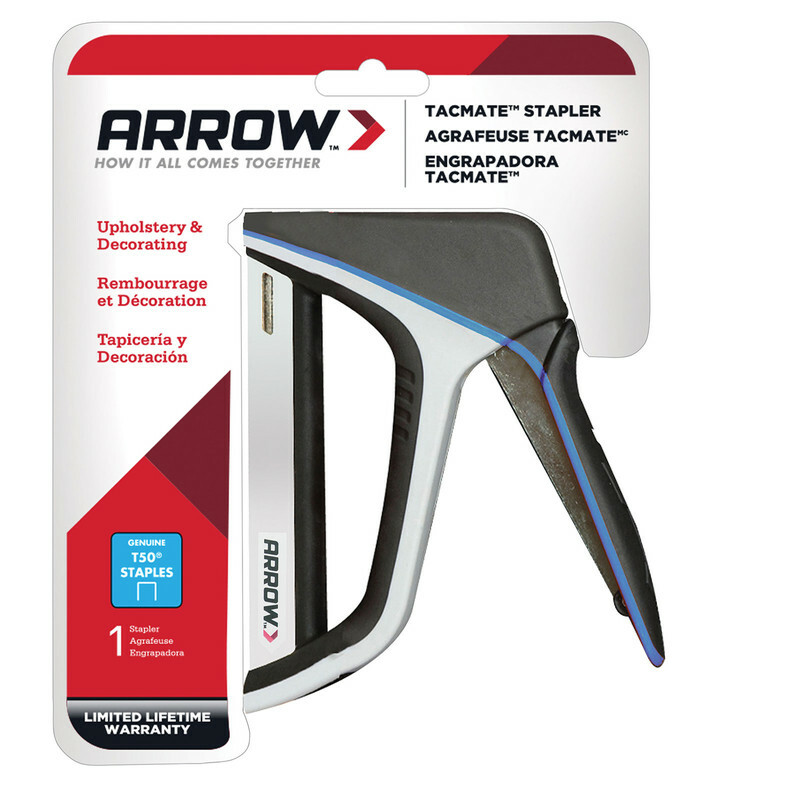 I was using Arrow staples of the correct size. My previous Arrow worked for many years with very little problem. This one was returned. Rated 5 out of 5 by Laddy007 from Does the job Needed it for my project to attach the canvas fabric to the stretcher bars in order to make some framed wall design. It did the job and I am pleased with this purchase. Rated 4 out of 5 by workerholic from fingers crossed. 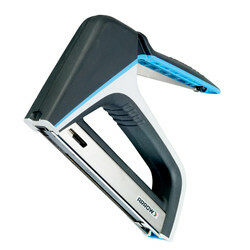 Of all the mechanical gadgets I use day to day, these type of staplers are the most infuriating. Every single one (this is my forth) has jammed on a regular basis and eventually through frustration, has been binned.......the last one after I finished it off with a club hammer!!!!! This one I have used once to put up some chicken wire and although at first you have to get the knack of applying enough down pressure, or it will kick back and miss fire.......it has, fingers crossed, been better than all the others. Rated 5 out of 5 by Tony o from Good tool Tool just right for the job. Excellent, helpful staff member.